Easy to use, all-in-one nappy which fits practically from birth to potty. 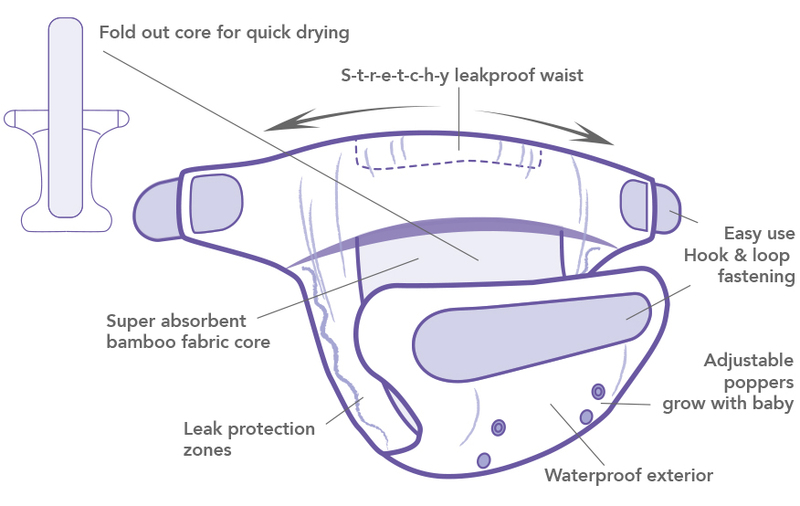 The bamboo core gives this nappy more absirbency than other all-in-one nappies but this will make drying slower. The EasyFit star is the new one-piece nappy by Tots Bots offering improved absorbency, fit, comfort and performance.